I met our current Mr. Philippine Youth International, Nelson Hui during a thanksgiving party thrown for him at Bella Ibarra in Quezon City. We always tackle about women, her lifestyle, her wants and her dreams. Of course, men will always have a special space here. 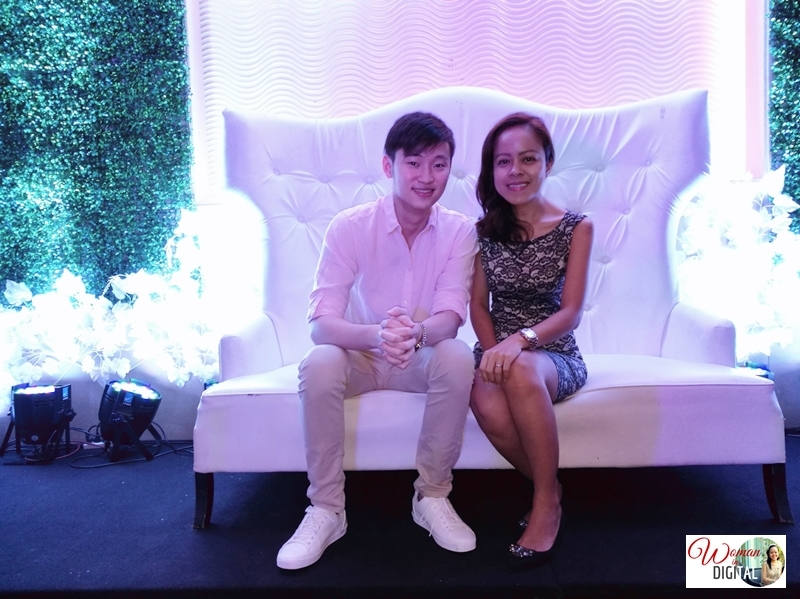 I met Nelson Hui, a Filipino-Chinese young man who won in the recent Mr. & Ms. Philippine Youth. It's an organization and a pageant that empowers Filipino youth to be responsible to the needs of the times. They contribute in nation-building by providing relevant programs and activities for the youth. Rico Yan was the first Philippine Youth Role Model during his time. His efforts created a big impact in inspiring the youth for nation-building. Some of the recognized youth leaders and promising youth models were Shaira Luna and Dimples Romana. Jolina Magdangal also joined the roster of the Philippine Youth Models. Nelson was born to a Filipino-Chinese family. 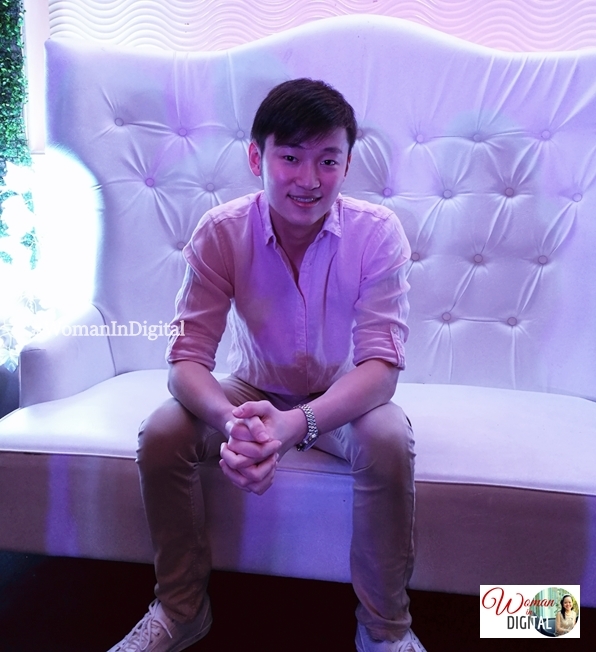 He is currently studying at College of St. Benilde taking up Export Management. 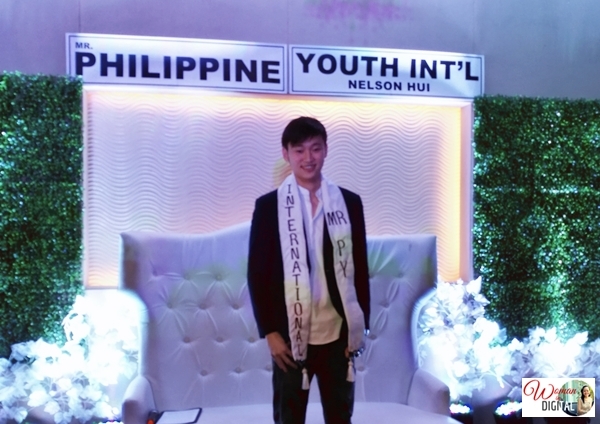 The 21 yr old won out of about 100 fellow youth participants from different parts of the Philippines. His predecessors included celebrities Onemig Bondoc and the late Rico Yan, which was an iconic role model to the youth. During the interview, Nelson shares how he wanted to contribute in nation-building by promoting tourism and traveling more often and discover the gems of the country. Although he revealed that he only got to visit Cebu, Palawan, and Cebu, he promised to discover more. Nelson targets other beach destinations in the Philippines. Part of his role as the 17th Mr. Philippine Youth International, he will be going around the country visiting a number of cities, provinces, and universities with Yes Pinoy Foundation ambassador and celebrity Dingdong Dantes. You can invite him to visit your school or organization via the mobile number 09214677998. Congratulations to Nelson Hui! We hope you continue to inspire the youth towards achieving their dreams and aspirations.